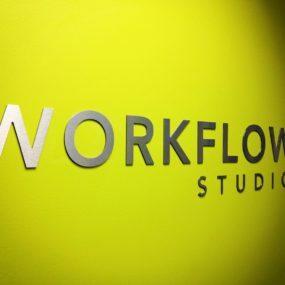 The Workflow Studio is the only place in the U.S. where customers can come see a full grand format workflow, underscoring our commitment to helping our customers find the right business solutions to make them successful. Experience grand format for yourself. 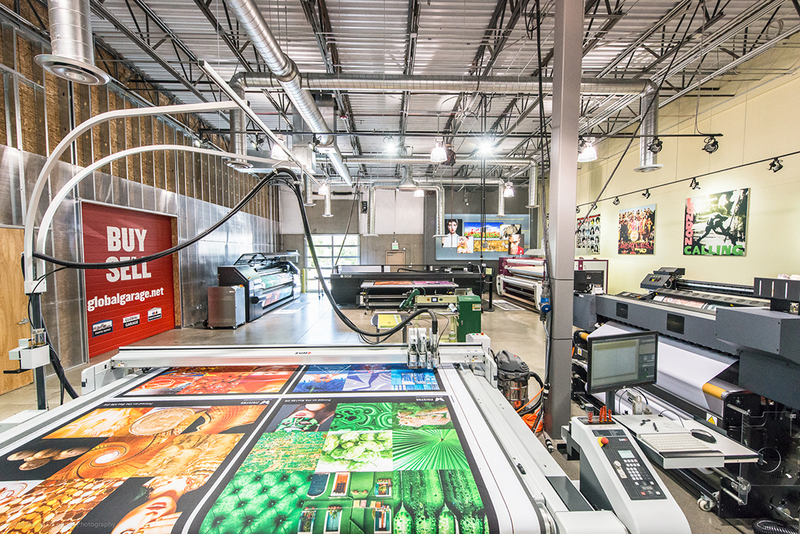 At the Workflow Studio, Global Imaging customers experience a grand format printing facility with the most current and cutting edge products available. 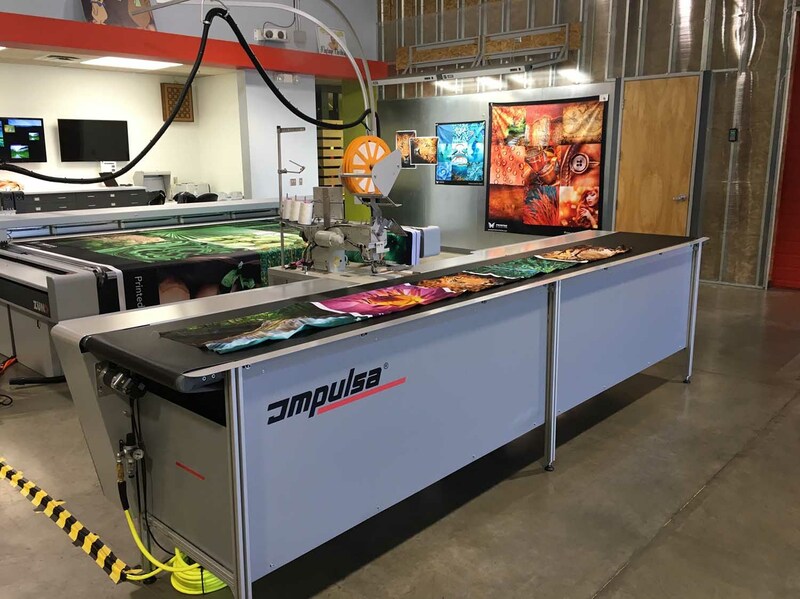 Demos at manufacturer’s facilities feature a limited product line. 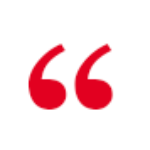 We recognize that it would help customers make better business decisions if they could see all of the software and hardware working together in an effective, fully integrated workflow. 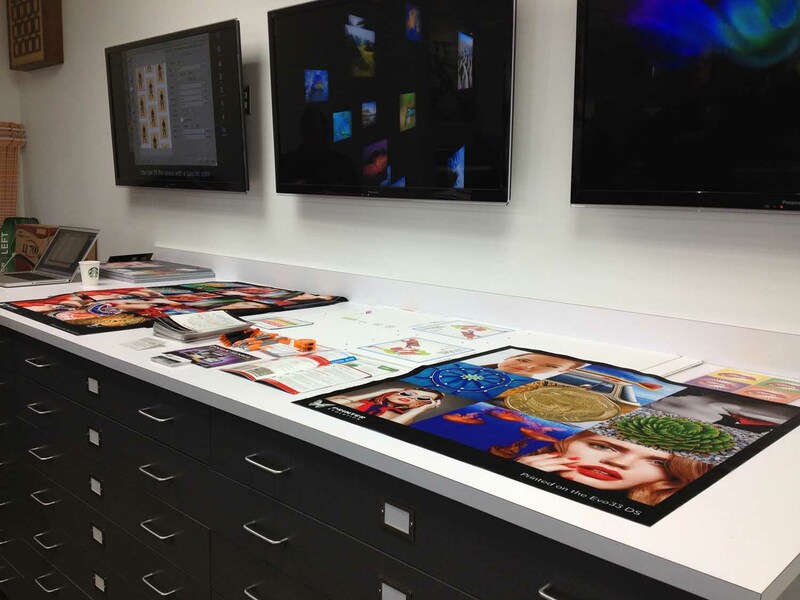 The prepress area in the Workflow Studio boasts the latest products in workflow automation, color management and RIP software. 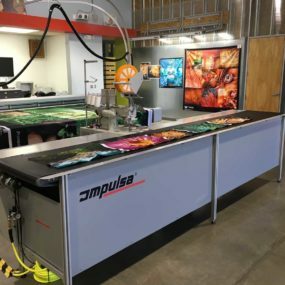 The hardware on display includes grand format dye sub printers, a Zünd flatbed cutter, Monti Antonio heat press calender, automated sewing system for SEG and a banner welder. 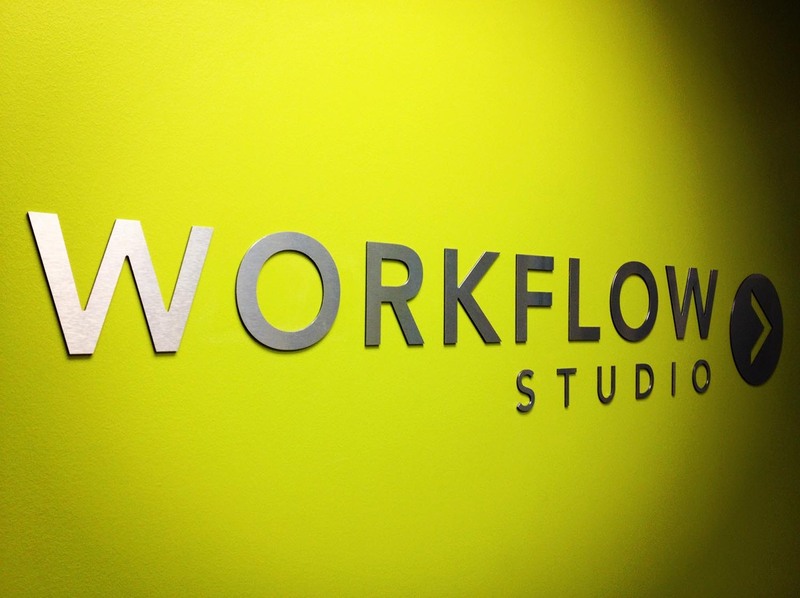 The Workflow Studio encompasses everything needed in an efficient production environment. 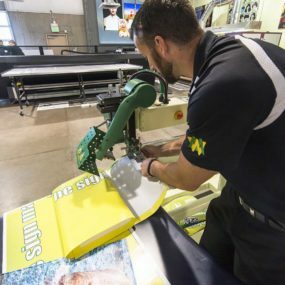 Partnering with Global Imaging comes with many benefits, including tailored grand format printer training and demonstrations. 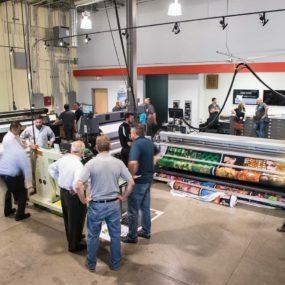 There is simply no better way to make an educated decision about a potential purchase than a hands-on demonstration at the Workflow Studio. 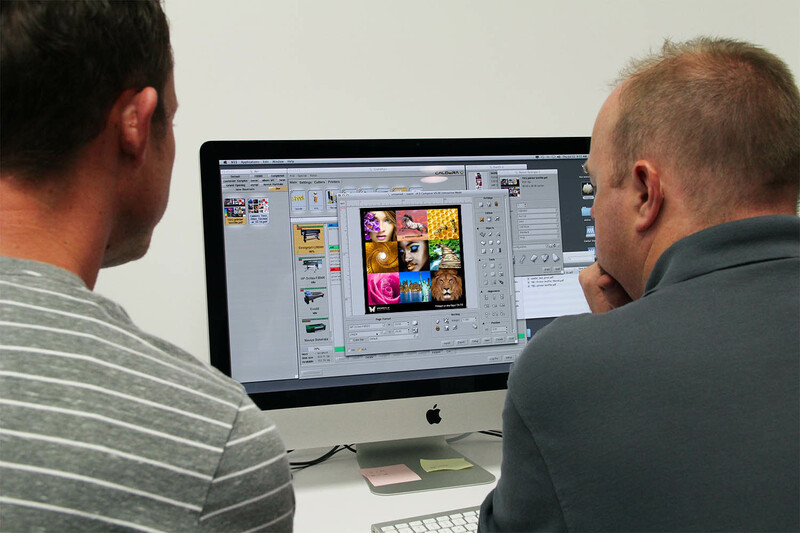 Whether you’re adding new capabilities, looking at the latest and greatest offerings, entering a new market, or choosing new workflow automation software to ramp up your efficiency, Global Imaging can demo it all at our state-of-the-art Workflow Studio. By training in our facility before your equipment is installed, your staff will get uninterrupted basic operator training so that we can take a deeper dive into operator training when your equipment arrives to your facility. 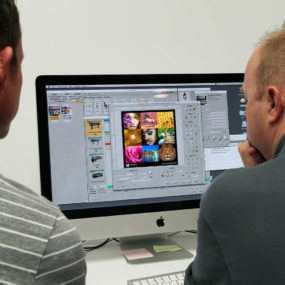 Book the Workflow Studio for in-depth pretrainings on any of our hardware or software products. We can accommodate teams from 1 to 15 individuals, and we tailor the training to focus on the specific applications, integrations and outcomes you need. This has proven to be extremely effective for the quickest uptime from delivery to billable production. 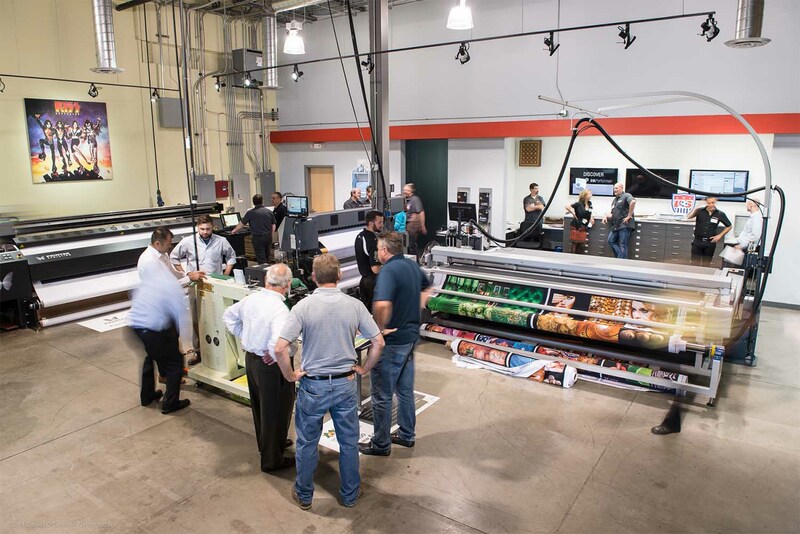 A well trained operator not only knows how to run a piece of equipment for the best color output and productivity, but should also know how to care for it on a regular basis. If you have new members on your production team or your current production staff just needs to brush up on their skills, we can help! Our specialists can get your new operators up to speed or dive deeper with your existing staff to build on their production and maintenance expertise. 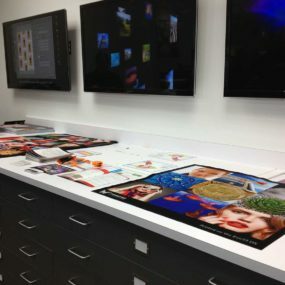 Global Imaging holds a select number of highly rated VIP Events at the Workflow Studio every year. 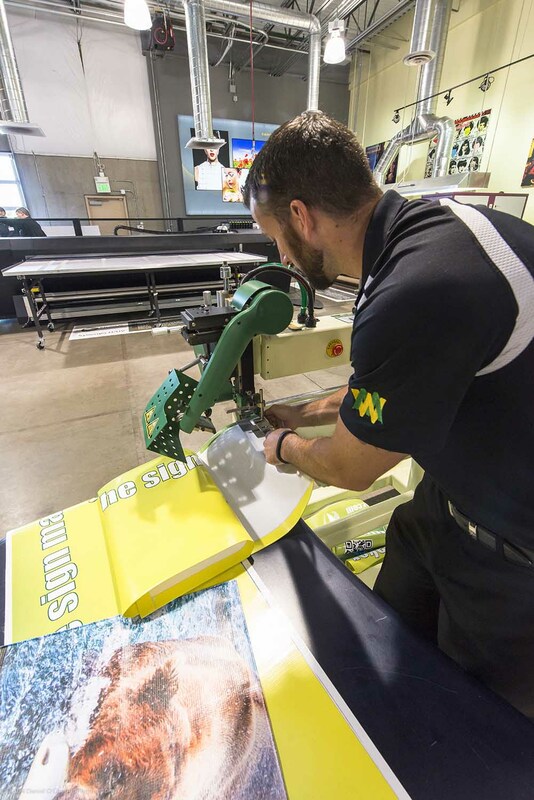 These events serve many purposes, from keeping our partners up to date on developments in the industry to demonstrating our latest textile printers, UV flatbeds, Zünd cutters and prepress products. 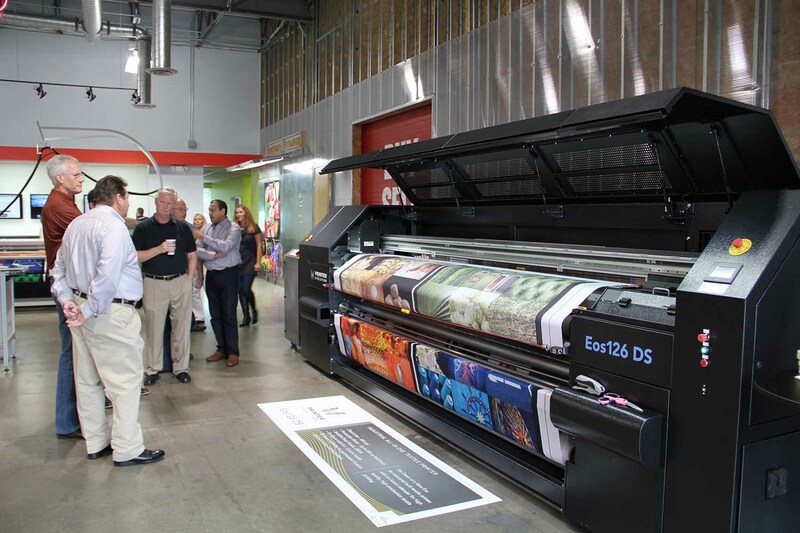 VIP Events provide a rich networking environment between print shop owners, executives and manufacturer reps that can’t be found anywhere else. And did we mention the ice cream? I came to learn general info about Global Imaging, dye sublimation, and Caldera, but left with a wealth of info on the industry and a depth of understanding of the products I did not expect. Global Imaging came across as a young, knowledgeable company that is very in tune with what is happening in our industry. This was a very refreshing experience. I can't begin to thank you and everyone in your company for a very informative presentation. 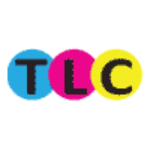 It was such a pleasure to meet so many industry professionals all in place and the feeling I got about your company was one of extreme professionalism and the warmth of a family organization. Once again, thank you for the invitation. Great job, Global! 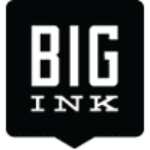 We came to the Workflow Studio wondering if there was anything Global Imaging could do for us and left feeling confident that YOU COULD! Please pass on my heartfelt thanks for a great event to rest of your team. 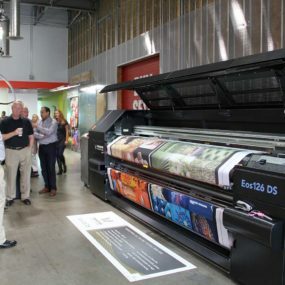 The event was extremely well executed and I really enjoyed the networking opportunities and large format equipment demos. Far more effective than trade show demos I might add! You've given me much to think about as I plan our business needs for the upcoming year. Just wanted to drop you a personal note to let you know how much I and the rest of the team enjoyed the event you put on last week. It was a first class operation and I really felt like we received great value for the time. Get some one-on-one time with all of these products, all in one place.